The practice of using mandalas for meditation and coloring is growing in popularity as more people embrace the centuries old customs of using mandalas as tools for contemplation and meditation. 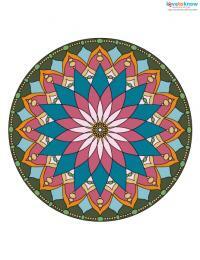 Mandalas have been used throughout history for meditation and healing. 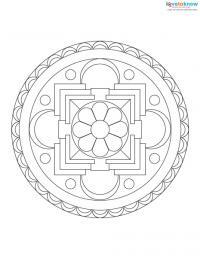 This ancient art of mandalas is used in Buddhist and Hindu religious ceremonies. However, they are also used in other cultures and their use has spread throughout the world. The Sanskrit word for completion or circle, mandalas are complex designs with a circular pattern or motif. Mandalas can be other shapes, such as square or rectangular, but the design still has a circular focal point and is symmetrical in form. Mandalas range from intricate to simple and free flowing lines to geometrical shapes. They are all around us in the beauty of nature and life. Many of those that use mandalas for meditation find it is best to focus on the outer edge of the mandala first and then allow their eyes to follow the path to the center. Others focus on the mandala as a whole and let their eyes blur as they feel the power of the mandala. A beautiful collection of mandalas for meditation is offered by Coleman Wheeler. Rays Web has instructions on creating digital mandalas using your computer. 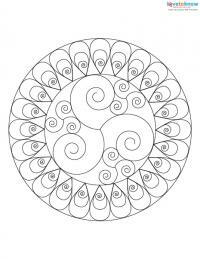 There are also exquisite mandalas for meditation and relaxation. The rising interest in mandalas in the Western world has fostered the growth of using these entrancing patterns and designs as a method of reducing stress, self discovery or simply having fun. 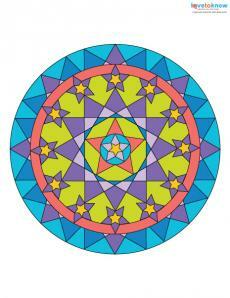 Use crayons, colored pencils, fine tip markers or paint to create you mandala masterpiece. Mandala coloring books are available from websites such as Amazon and eBay and at most bookstores. The following are several of the wonderful coloring books offered from Amazon. If you would like to create your own mandalas, Creating Mandalas by Susanne F. Fincher includes instructions that are simple to follow. She also includes a section on symbolism of colors, shapes, motifs and numbers. 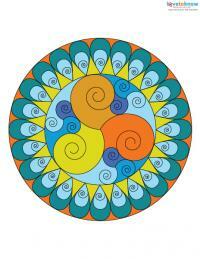 Also by Susanne Fincher, Coloring Mandalas 1 and Coloring Mandalas 2 are two resources you will enjoy. 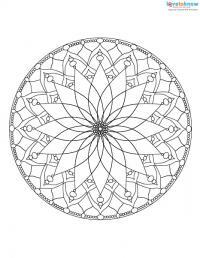 The Internet has many excellent websites offering free mandalas that you can print for meditating and coloring. 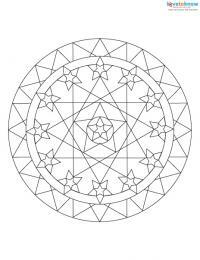 Free Printable Mandala Coloring Pages offers many beautiful designs. Coloring Castle has many highly detailed mandalas to print and color. 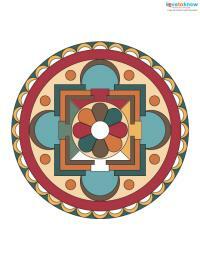 Free Mandala has mandalas to print ranging from very simple to highly intricate. The mandalas on Mandalaz are magnificent. Printable coloring pages from LoveToKnow. Using mandalas for meditation and coloring is an excellent method of reducing stress in your everyday life.